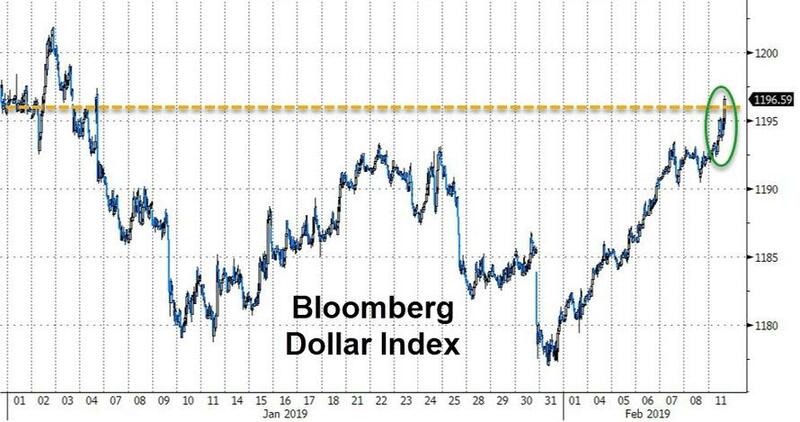 The dollar is up for the 8th straight day - even with China back from holiday - surging back into the green for 2019. We would also assume resilience in US macro momentum from here, thanks to ongoing strength in the service sector which is underpinned by a relatively tight labour market. In contrast, the euro area's more manufacturing-heavy economy would be affected by China or the trade war more broadly. As a result, the relative strength in US macro momentum could help underpin the USD, as the first chart below suggests.